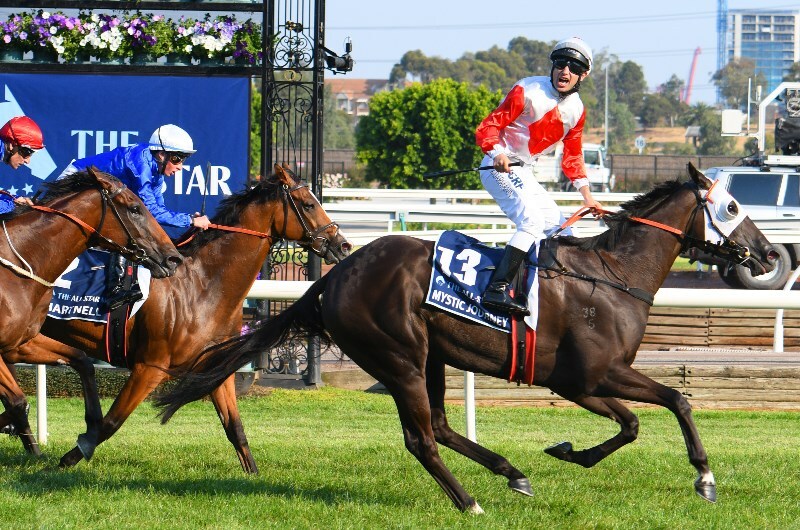 The All-Star Mile is a new concept introduced to Australian racing and the 1600m race is worth $5 million. Horses gain entry via a public voting system and the remainder of the field is decided by the Victorian Racing Club. It attracted big betting interest in 2019, its first running. The 2020 All-Star Mile will run at 5:10pm AEST on Saturday March 15. The All-Star Mile is one of nine races on the mid-March race card at Flemington. With no other Group 1 races scheduled, it’s by far the biggest attraction on the day. We will have 2020 All Star Mile tips available when markets are released. We will have odds for the 2020 All-Star Mile when markets are released. Below is the 2019 All-Star Mile field, which could look similar when voting closes in 2020. We will update the barrier draw for the 2020 All-Star Mile when it is conducted during the week of the race. The inaugural running was in March 2019 where three-year-old filly Mystic Journey was too good for her rivals. Her 1.25-length win came over champion thoroughbred Hartnell and early race favourite Alizee. The All-Star Mile was devised in a similar fashion as The Everest in Sydney, where horses are voted in by the public. This created controversy and a slightly poor field as horses with a large group of owners voted their horses in, despite a complete lack of form. This resulted in some tragic horses entering the $5 million race but we’re confident the VRC will change the format in years to come. It will be rotated between Flemington, Caulfield and Moonee Valley on a yearly basis and there are four slots open to wildcard entries. These are chosen by the VRC and usually include quality horses which didn’t receive enough votes. Three-year-old filly Mystic Journey was the first winner of the All-Star Mile. The Tasmanian champion had won the Australian Guineas a few weeks prior and she became one of the highest earning three-year-old horses in modern history. The 2019 replay shows Mystic Journey sprinting over the top of the older horses, including Godolphin stablemates Hartnell and Alizee. The Tasmanian-trained runner was well-backed with bookmakers.